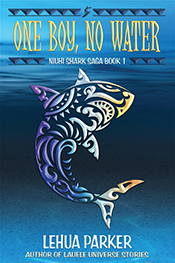 LEHUA PARKER writes Pacific literature stories for kids and adults that explore the intersections of Hawaii’s past, present, and future. 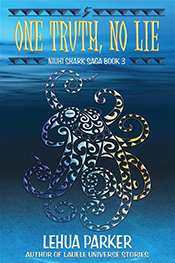 Her published works include The Niuhi Shark Saga trilogy, Lauele Universe Stories, and Fairy Tale Ink Serials, as well as plays, poetry, short stories, and essays. 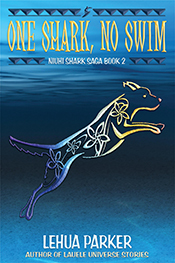 One Boy, No Water, Niuhi Shark Saga #1, was a 2017 Hawaii Children’s Choice Nene Award Nominee. As an author, editor, and educator trained in literary criticism and advocate of indigenous cultural narratives, Lehua is a frequent presenter at conferences, symposiums, and schools. Her hands-on workshops and presentations for kids and adults are offered through the Lehua Writing Academy. Originally from Hawaii and a Kamehameha Schools graduate, Lehua now lives in exile in the Rocky Mountains. During the snowy winters, she dreams of the beach. 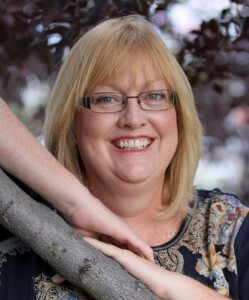 Connect with her at www.LehuaParker.com.